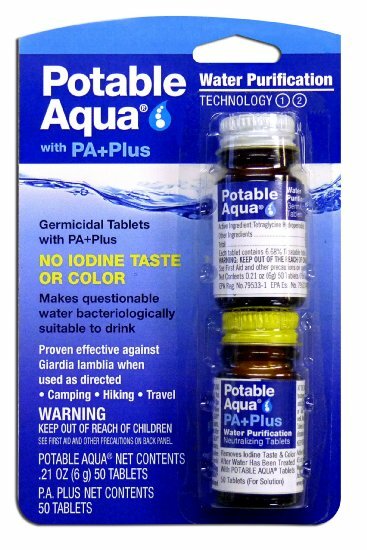 Potable Aqua Drinking Water Germicidal Tablets are intended for emergency disinfection of drinking water. When used as directed, they make most water bacteriologically suitable for drinking. Used worldwide by campers, hikers, militaries, emergency organizations and anyone needing to drink water of questionable bacteriological quality. Potable Aqua is for use only when drinking water is suspected or known to be bacteriologically unsafe. • Not to be used on a continuous basis. • For short term or limited emergency use only. Simply drop a Potable Aqua chlorine dioxide tablet from this packet of 30 into a quart of water and let it go to work. • Features the same proven technology used in municipal water supplies; effective against viruses, bacteria, and Giardia. • Requires a 4 hr. treatment time to kill contaminants. 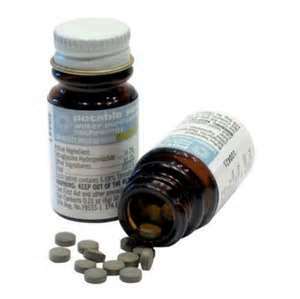 Caution Note: Potable Aqua Water Purification Tablets DO NOT kill cryptosporidium.